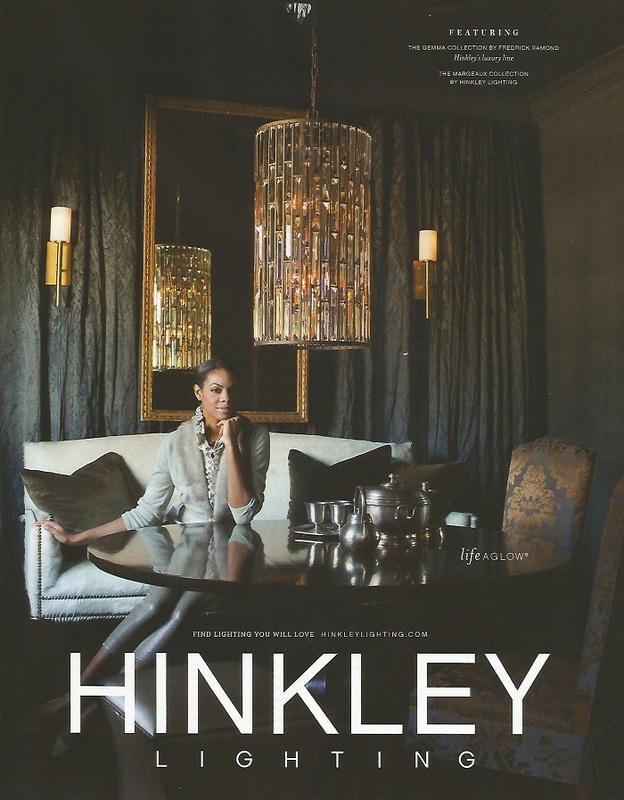 As mentioned previously, I've noticed how Hinkley Lighting seeks out designers' personal residences to use as backdrops to feature their latest styles -- chandeliers, sconces, etc.... Spotted in the September issue of Elle Decor is Hinkley's ad (above), photographed in the Atlanta Dining Room (below) of Mary Prillaman, owner of MacRae and Holland & Company. The interiors of Prillaman's home were published in Atlanta Homes & Lifestyles March 2013 issue.